Such was the timing of winter storm Electra that it forced a rare cancellation of the HSO’s Saturday evening performance of this program, featuring two familiar masterpieces and a relative rarity which should be better known. But luckily for HSO audiences, their hard-working orchestra plays each program four times, mostly in the clear, resonant acoustics of the Bushnell’s intimate Belding Theater. As Electra gave way to clearing skies Sunday afternoon, the audience was greeted with a warm bath of springtime as a radiant account of Vaughan Williams’ Fantasia on Greensleeves opened the program. Returning guest conductor Joel Smirnoff, a former longtime violinist in the Juilliard String Quartet, was clearly in his element with the mostly string ensemble. Principal harpist Susan Knapp Thomas and principal flute Greig Shearer made distinguished solo contributions. Popular local violinist Sirena Huang was the brilliant soloist in a rhapsodic performance of Sibelius’ Violin Concerto. Now a sophomore at the Juilliard School, Huang grew up in South Windsor, and this was her ninth appearance with the HSO. Her violin tone throughout this demanding piece was rich, powerful, and sensitively shaded, from the hushed opening notes of the dramatic first movement to the dazzling cadenza only minutes later. Smirnoff maintained an ideal balance between orchestra and soloist through the lush Adagio movement and an amusingly lumbering finale. Huang introduced a charming but technically challenging encore as a recent Chinese composition called “Enchanted Mountain Scenery,” in which she said “a man enjoys a trip to the mountains and then gets a little drunk” (the tipsy point was very clear in her playing). Intermission was followed by a lively rendition of Tchaikovsky’s Symphony No. 3, nicknamed “Polish” for its finale in polonaise rhythm. Like his first symphony, which Smirnoff conducted on his last HSO visit a year ago, the third is far less known than Tchaikovsky’s fourth-sixth symphonies, but its five movements offer no fewer memorable tunes than any of this master melodist’s most beloved works. Orchestra and conductor brought it all off with an impressive mix of discipline and abandon. Berkshire Museum is a wonderful gem of art, architecture, science, and history. Located between the Colonial Theatre and Barrington Stage in Pittsfield, all of these venues have become destination points in a city that not so long ago was a place to drive straight through. Little Cinema, now in its 65th year, is an important part of what makes Berkshire Museum great. The following is a one-on-one interview with Craig Langlois, Education and Public Programming Manager at the Berkshire Museum in Pittsfield, MA. Spotlight: What factors do you consider when picking the films for Little Cinema? Is it a mix of indies and foreign? Langlois: There’s a lot that goes into it; i.e. reviews, audience. There are questions to ask. Has it been shown elsewhere, is it an important film that needs to be screened, what are the distributors plans, what are the terms (payment). We strive to present the latest in first run independent films – sometimes they are foreign, sometimes they are made right here in the Berkshires. Spotlight: Do you think some films will get bigger or different audiences in the summer months than during other times in the year? Langlois: Films over the summer benefit from increased audience because of the influx of second home owners and tourists. Limited run independent films (for the most part) have a predicable distribution pattern. After the festival circuit they start in New York, Boston, L.A. and other major cities and then move to smaller regional markets like the Berkshires. Many times, I have had feedback from summer audiences that they are happy they were able to catch “that movie,” continuing “It was only in New York for a week.” That being said, we have pretty consistent attendance around the year. Little Cinema receives great support from the year-round community. Spotlight: What have been the most successful films? Successful, not necessarily in audience size but also quality of film. To me, success is quality and quantity. Langlois: I agree with your measure of success. The “most successful” films are the ones I receive calls about after a weekend of screening. The audience is compelled to keep talking about it days and weeks after. For example, I was grocery shopping and the person manning the checkout counter wants to talk about the film he just watched at Little Cinema. All the feedback does not have to be positive either…it’s about having an impact, making a statement, confronting a fear or a belief. Quality independent films do this as good if not better than any other form of visual media. That is how I measure the success of a film. Spotlight: Are you approached by filmmakers to present their work? For example, I saw the recent film set in the Berkshires? Langlois: We have had a steady increase in requests from directors to screen their works. As the movie industry finalizes its digital revolution, the traditional walls that would prevent a director from contacting us directly to screen his/her film are coming down. It a really interesting time to be in the film business -- making and screening films. At no other time in history has technology allowed you to create a film and screen it around the world almost in real time. We have taken a special interest in films “starring” the Berkshires and will continue to screen films shot, edited, or featuring the Berkshires. Spotlight: What is your background? Have you always loved film? Langlois: This is my sixth year running Little Cinema. I have degrees in education, art education and visual arts. I have always loved film --especially films with an independent flair. I am not a film maker but I do play with the media in my own work. Spotlight: What are the plans for Little Cinema's future? Langlois: We are in a transition stage, about to hire a Curator of Films. The museum’s program offerings have grown considerably over the past few years, including taking Little Cinema to a year-round schedule. Berkshire Museum’s staff have some great plans to continue the 65-year legacy of Little Cinema and introduce a whole new audience to this great cultural resource. 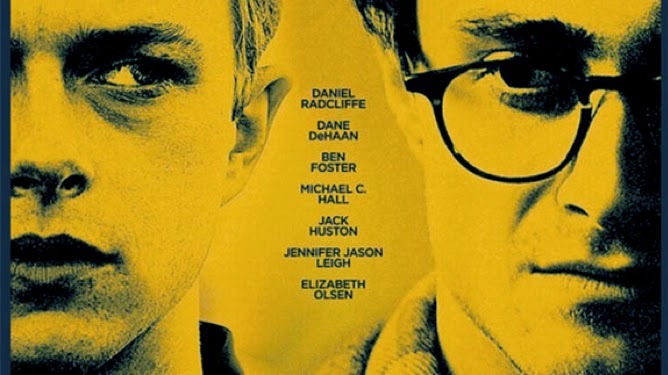 “Kill Your Darlings” will be shown at Little Cinema in January, 2014.